(please take the time to check our backstamp photo). 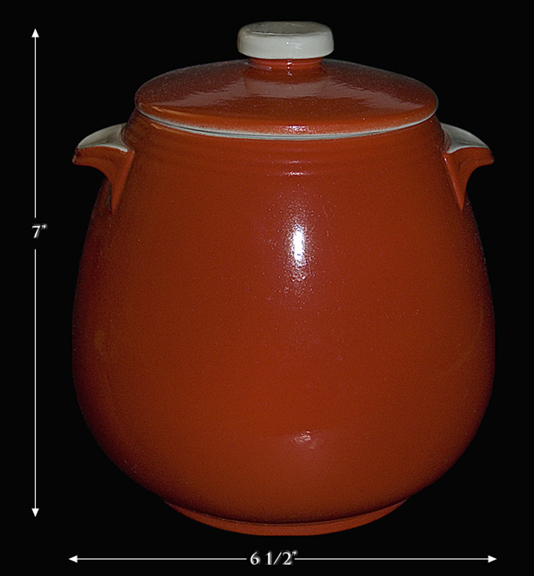 Measurement: 7 " H. - 6 1/2" W.
Condition: We are offering for sale a beautiful Hall China Chinese Red Tab-Handled kitchenware bean pot. 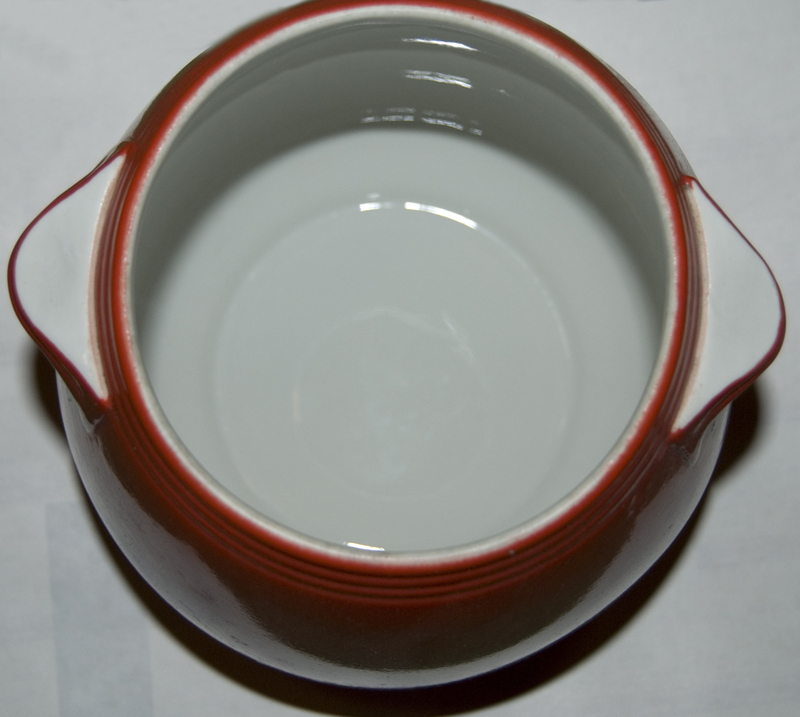 This lovely piece is in Undamaged Condition without chips, cracks, or mold damage. The color is nice and even. The glazing on the body and on top of the lid is super nice. The white dots on the bean pot are from camera flash. 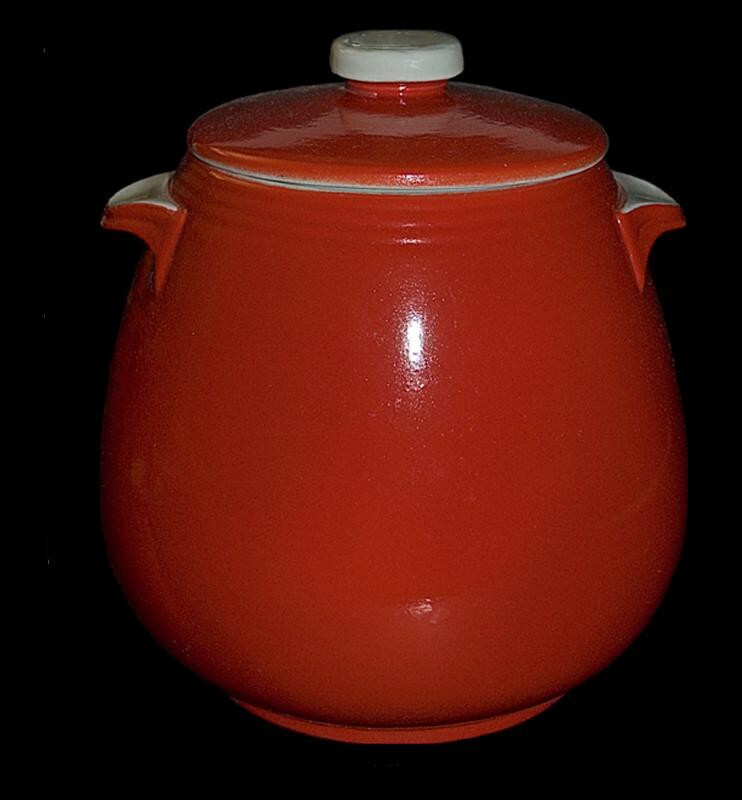 Condition: We are offering for sale a beautiful Hall China Chinese Red kitchenware Tab-Handled bean pot. This lovely piece is in Undamaged Condition without chips, cracks, or mold damage. The color is nice and even. The glazing on the body and on top of the lid is super nice. 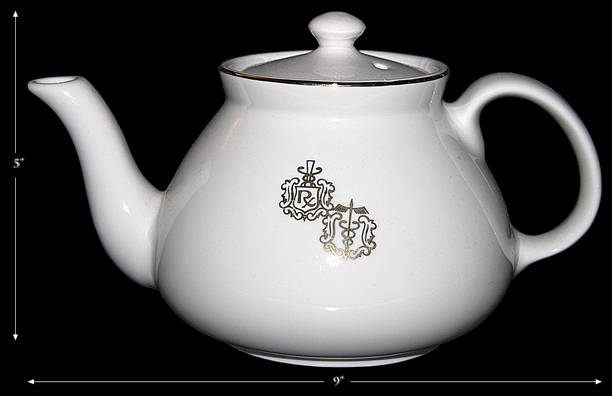 The white dots on the pot are from camera flash. Sani-Grid, Tab-Handled, and Straight-Sided (1940s)- Tab-Handled, Straight Sided, and Sani-Grid were all Hall patterns or shapes made in the 1940s. 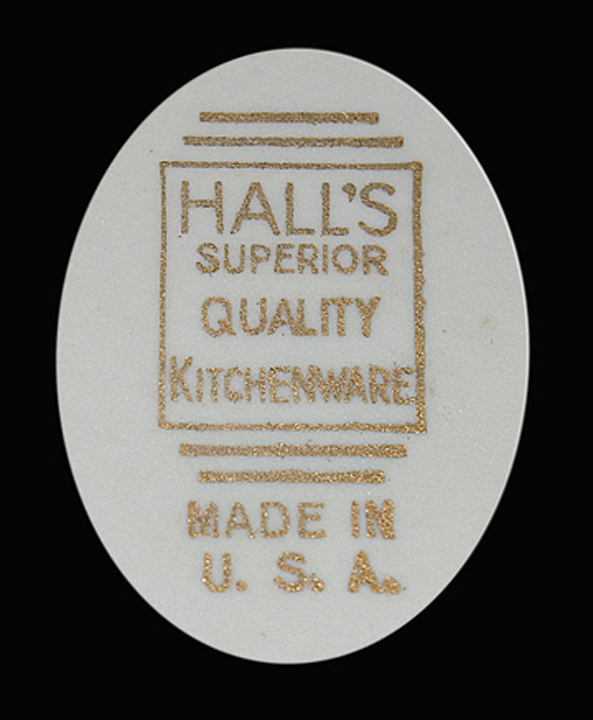 Hall was an innovative company and decorated these styles in the same colors so that they could be used as stand alone items or as groupings that would fit together nicely in a kitchen setting.